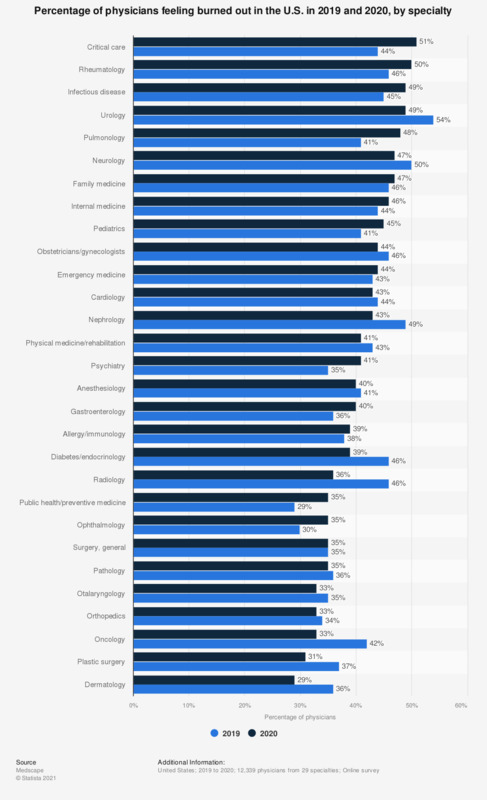 This statistic shows the percentage of physicians feeling burned out in the United States, as of 2018, by specialty. According to the survey, the highest share of physicians feeling burned out was in urology. Everything On "Workplace health and wellness in the U.S." in One Document: Edited and Divided into Handy Chapters. Including Detailed References.